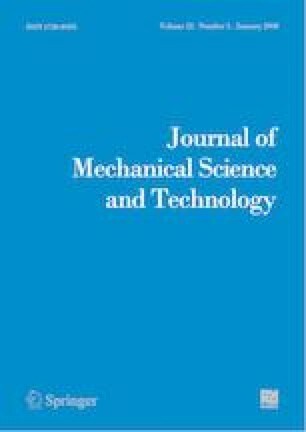 A numerical simulation was performed with the two competing model in the devolatilization process for a pulverized coal combustion jet flame by means of LES. The target was a simple jet burner flame in CRIEPI. To solve the LES equations, a CFD code FFR. Comb was employed with the dynamic Smagorinsky SGS turbulent model. A simple global kinetic mechanism was implemented to predict combustion of the gas and solid phase combustion. The interactions between the two phases were calculated by PSI-Cell model while the reaction rate in turbulent flow was established by SSFRRM. The simulation was validated by comparing results to the experimental data in terms of particle dispersion and velocity as well as gaseous velocity. The flame structure was discussed with temperature, mole fraction of major species. In addition, the effect of the devolatilization model was investigated simultaneously by comparing to another simulation that employed the single first order reaction model because the devolatilization was one of the major processes in coal combustion and it had an influence on the flame structure from all reactive regions. The release rate was calculated by two different parameter sets in the Arrhenius rate equation for the two competing model that were corresponding different temperature regions whereas the released rate was determined by only one fixed parameter set in the single first order reaction model. From the simulation, it was revealed that the main reactions took place at the upstream and the first fuel oxidation was stronger at the inner reaction zone comparing to the far side combustion. It was confirmed as well that the two competing model could capture the quick devolatilization faster than the single first order reaction model though the dominant part appeared later than the single first order reaction model. Seongyool Ahn received a Ph.D. in 2013 from Pusan National University, Rep. of Korea. He is a Research Assistant Professor at Department of Mechanical Engineering, Kyushu University. His research interests include numerical simulation of multiphase turbulent combustion and recent energy system. Hiroaki Watanabe received a Ph.D. in 2008 from Kyoto University, Japan. He is an Associate Professor at Department of Mechanical Engineering, Kyushu University. His research interests include modeling and simulation of multiphase turbulent combustion. Toshiaki Kitagawa received a Doctor of Engineering in 1989 from Kyushu University, Japan. He is a Professor, Reactive Gas Dynamics Lab, Dept. of Mechanical Engineering, Kyushu University. His research interests include laminar and turbulent flame properties and combustion in engines.